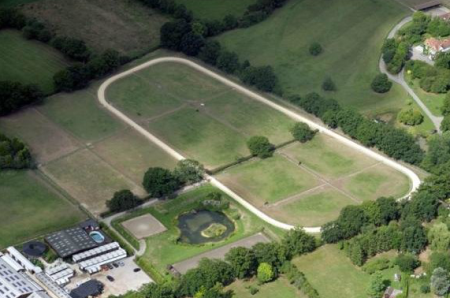 Oldencraig Equestrian Centre is the premier competition and training establishment in the South East of England. When you are not riding, you can take advantage of the 6 star facilities that Oldencraig Equestrian Centre has on offer. The brand new open plan air conditioned Bistro overlooking the International Indoor Arena can accommodate up to 72 guests. Or if it is a quick drink you are after, visit the Rider’s bar. 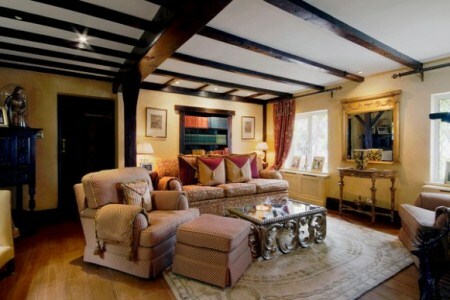 For a longer stay there are B&B facilities available to you, either on site, or at a local B&B’s or hotel. Oldencraig also has a new stylish Conference Suite, which seats 25. This facility is perfect for lectures, seminars, meetings or dinners. The Bistro at Oldencraig Equestrian Centre serves a mouth-watering selection of daily specials as well as the regular menu. It can accommodate 72 in air-conditioned comfort overlooking the new state-of-the-art International Indoor Arena. TV and stereo system make this an entertaining place to eat, relax and watch your test! 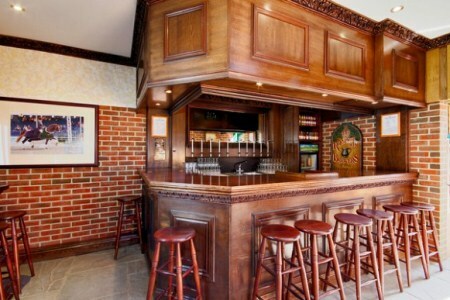 Oldencraig Equestrian Centre has just opened a Rider's Bar. The traditional oak style bar is fully equipped with TV, coffee machine and state of the art music system and not to forget a full range of spirits, beers, wines and champagne. Also there is a great range of soft drinks for the drivers amongst us, or for those who have a long journey home! So when you come to a show, lecture demonstration, or just coming as a spectator, then please feel welcome to come and join us for a drink. Guests are then able to sit in our adjacent viewing gallery to watch some of the world's top riders training up to Olympic standard in our new indoor school. The Financial Times votes Oldencraig in the Top 5 Equestrian Centres in the world. The Daily Telegraph votes Oldencraig in the Top 6 of the best magnificent country homes with unusual sporting facilities. British Dressage voted Oldencraig Equestrian Centre the top show centre for the last 12 years running. 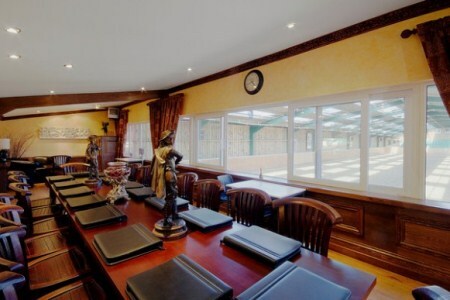 Oldencraig Equestrian Centre has a stylish new Conference Suite. Beautifully appointed with oak-panelling throughout, this elegant venue seats 25, board-room style, and overlooks the new state-of-the-art International Indoor Arena. The fully equipped meeting room offers the discerning delegate flexible accommodation for lectures, seminars, meetings, dinners etc. No request too large, no detail too small. If you are visiting for an intensive training course, a holiday, or have an early competition start, Oldencraig offers on-site bed and breakfast accommodation that includes a fully equipped kitchen, luxury lounge, bedrooms and conservatory. This accommodation block is set in beautiful gardens overlooking the swimming pool complex, koi ponds and stable block. 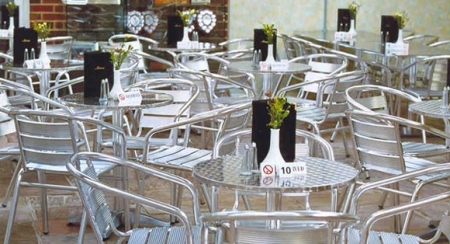 You can sit on your own patio and enjoy the peace and quiet before you start your busy day or retire for the evening. If you would like to get in touch with Ian Winfield at Oldencraig Equestrian Centre, please fill in the form below.